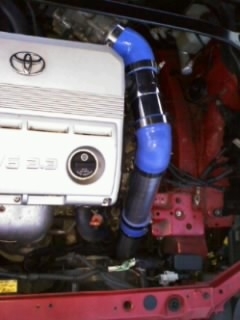 SolaraGuy.com • View topic - Gen2 Cold Air Intake Installation Instructions. 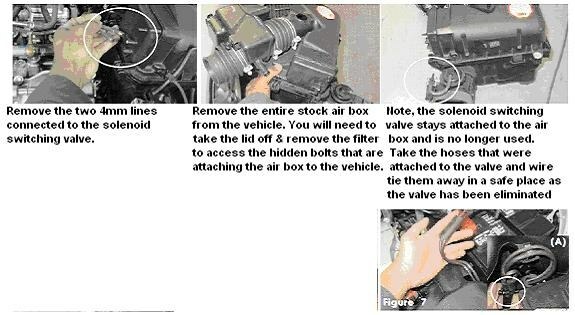 Gen2 Cold Air Intake Installation Instructions. TIP! Install will be easier if you have a ratcheting 11mm wrench for the t-clamps. Disconnect and Remove the battery from vehicle and remove plastic tray underneath. Now put on your gloves on. Using a utility knife, trim approximately 2 inches from the left side of the tray (part facing the engine). 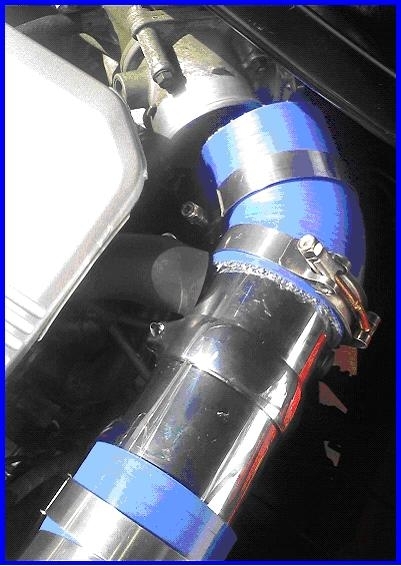 Now, remove the entire factory air intake system. Starting up front, first remove the two "fake ram air" pieces that are attached to the upper radiator support with three 10mm bolts. Next, There are two 10mm bolts holding the airbox bracket to the battery tray, remove those. Now, unbolt and remove the white baffle located near the battery tray. There are also two 10mm bolts hidden inside the factory air box so remove the lid and take out the filter to access them. 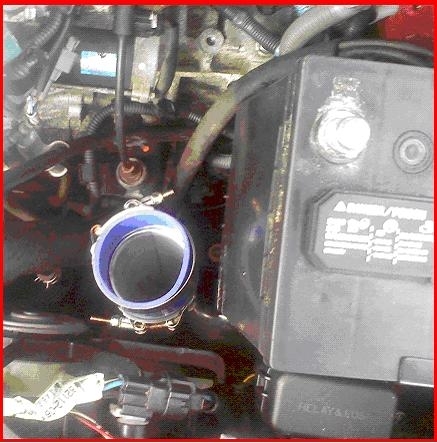 Finally, unscrew the clamp that holds the accordian pipe to the throttle body and disconnect all plugs/vacuum lines paying attention to where they go. Next, jack up the front driver side of vehicle. It provides the best access if you remove the front driver side rim/tire but you can also turn the steering wheel all the way clockwise to gain access. 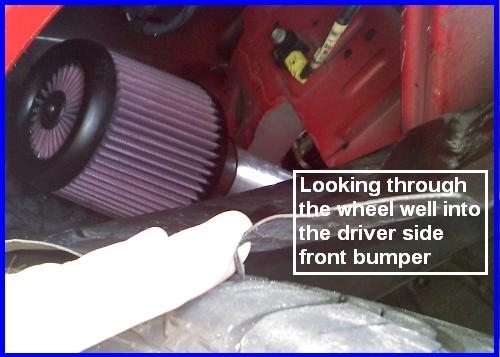 Disconnect the front portion of the plastic inner fender liner to gain access to inner front bumper area behind driver side fog light. 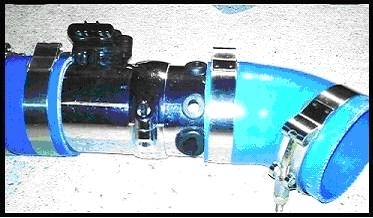 Once you’ve gained access you can attach cone filter to end of 75 degree pipe if not already attached.